Die hard hunters can be a highly opinionated, fussy bunch of folks (forgive me for saying so) and the last thing you want to do when trying to figure out the best hunting rifle to buy is to read hunting forums. The solution is much simpler than you might expect if you’re new to hunting. 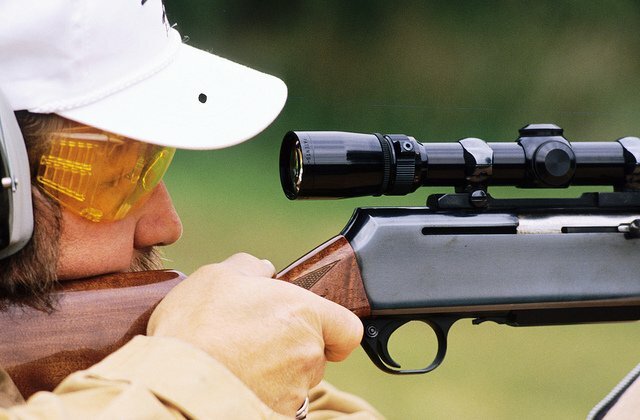 There are only a few really important factors that have always been universally agreed upon for choosing the best hunting rifle. First and foremost, consider what type of game you’ll be hunting. If you’re 80 percent sure that deer are the most likely thing you’ll hunt, you’re over halfway there. The biggest mistake that a beginner often makes is choosing a rifle that will kill any and all North American big game. I know because I made that very mistake and now I have a beautiful rifle that spends most of its time in the gun safe. After you get over the “bigger is better” misnomer, take a good look at the terrain you’ll most likely be hunting in. If you’re going to be sneaking through thick forest, what good is a rifle made for long range (typically having a long barrel)? Then again, if you’re sure you’ll need long range accuracy, a short barreled lever gun will probably leave you super frustrated. There are many different brands of hunting rifles. Don’t get sucked into thinking you need to throw down the big bucks for a Weatherby when a Marlin will do just as good a job. The most important thing you need to think about is caliber. Fancy names don’t make the bullet fly any flatter or increase the knock down power—choosing the correct caliber cartridge does. And while there are a ton of different caliber hunting cartridges, most experienced hunters agree on a simple few. My personal choice for where I typically hunt (heavily wooded terrain) is my trusty 30/30 lever action Marlin with a 20” barrel and fixed 4x scope. I’m deadly accurate at 100 yards and the short barrel makes it easier to move around in the thick stuff. Although I trust my ability to kill deer and black bears with a 30/30 cartridge (selecting the proper grain is paramount), I would more likely recommend a rifle with a .308 caliber. The .308 is a tried and true caliber for all big game aside from moose and grizzlies which makes it a very versatile caliber for new hunters. It also has a fairly light recoil compared to other calibers. If I had to choose one caliber that covers it all, it’s the .30-06 (pronounced “thirty aught six”). My first hunting rifle was an old Springfield that my dad gave me and it is still my very favorite rifle. The .30-06 is probably the best known caliber on earth and there are a ton of rifle brands that make it. If you find one that feels good, buy it. It might be the only rifle you ever need. You will be pleasantly surprised with any of these caliber rifles. Common sense dictates which one you choose and it’s a pretty simple choice when you focus on the prime factors (location and game). The other thing is how it feels in your hand. Think of it like falling in love—you know when it feels right. Making it work comes down to practice, patience and experience.